British Steel has released a stunning new cinematic film, giving a never-before-seen insight into its exhilarating manufacturing operations (scroll to the bottom of this page to view the film). Paul Martin, British Steel Deputy CEO, said: “We wanted to share what an awe-inspiring business and industry we’re in and this film captures the pride, passion and performance at the heart of British Steel. With annual steel production of around 3 million tonnes, British Steel’s business is complex. It can transform raw materials into nearly 1,500 different grades of steel and specialises in rail, wire rod, constructional steel and special profiles. 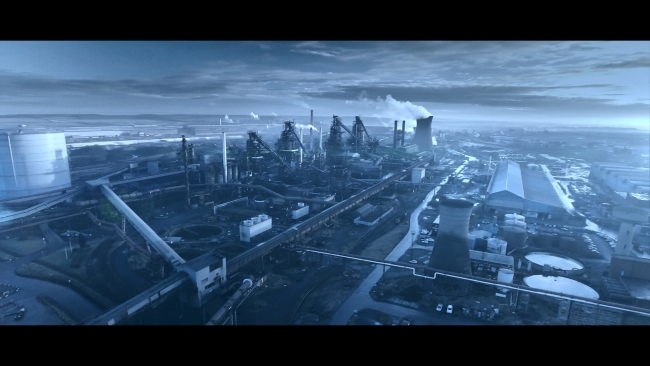 The film was shot at British Steel’s Scunthorpe steelworks and at its Teesside operations including Teesside Beam Mill and Special Profiles Mill in Skinningrove.